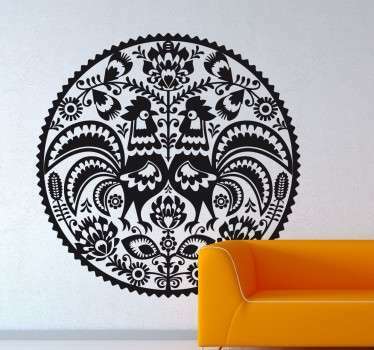 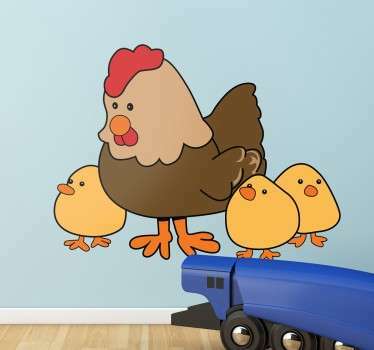 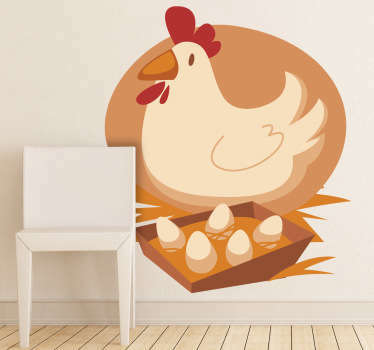 A collection of wall stickers with designs inspired by hens. 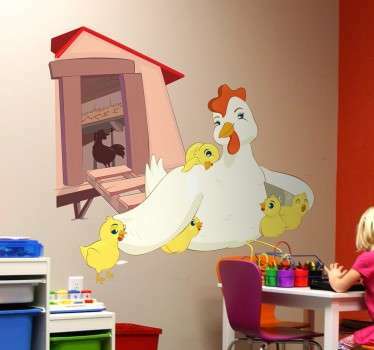 Does your child like these farm animals? 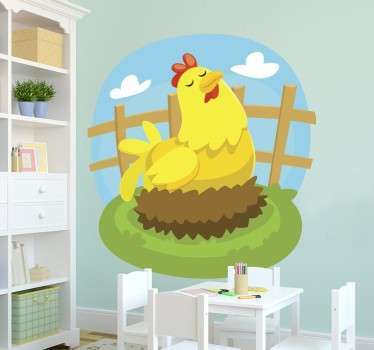 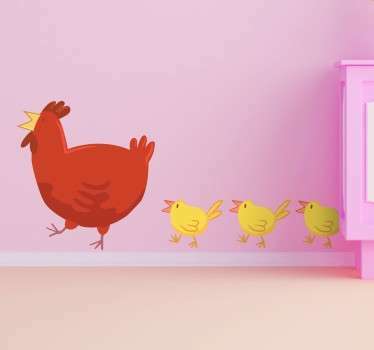 Why not decorate their bedroom or nursery with a cute design of a hen accompanied by her chicks. 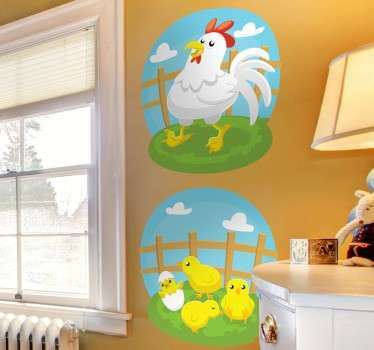 Ideal for creating a farm-yard themed room that will encourage kid’s imaginations. 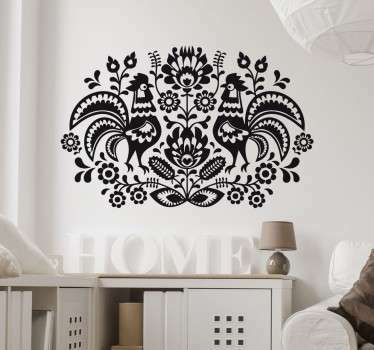 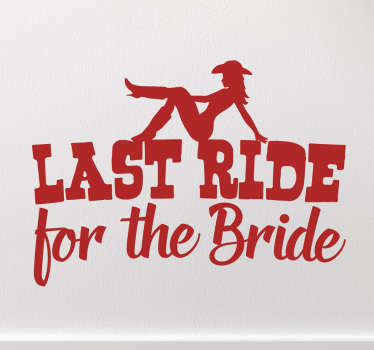 Choose also from more ornate designs with hens and hen outlines incorporated inside.